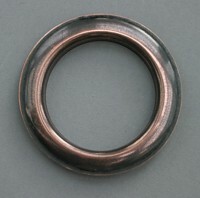 a small machine for eyelets up to 13 mm. 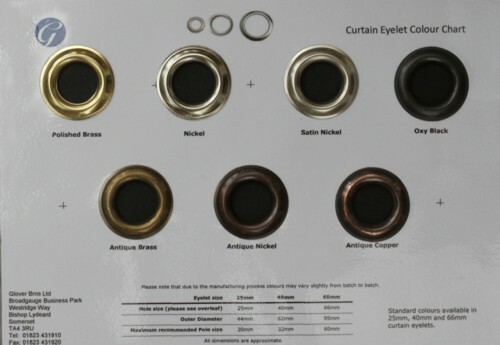 We sell it complete with 5 mm dies for putting eyelets into Roman blinds. Other die sizes to order. 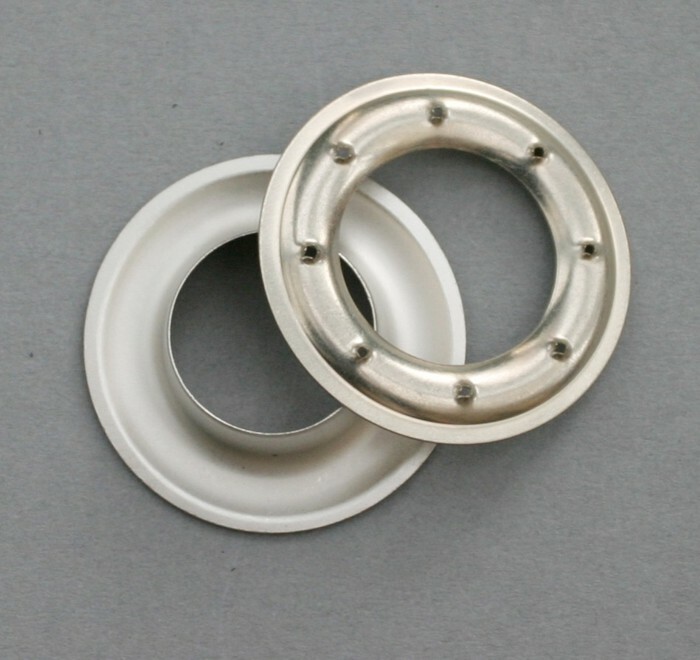 a medium size (1 ton pressure) machine that can accommodate eyelet dies from 5 mm to 66 mm. For extra dies see below. separate 66 mm cutting & closing dies for the HP1000. Combination dies allow cutting and closing of eyelets to be carried out without changing dies. measuring guide assembly for HP1000. 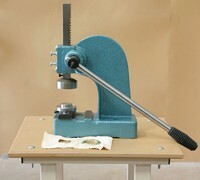 Speeds up production by allowing the curtain head position and spaces between eyelets to be set before eyeletting begins. To download larger images of these eyelet samples (pdf), please click on the image above.